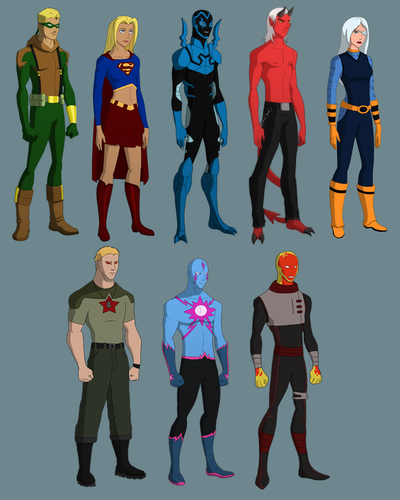 guardianwolf216: Designs of characters she wants on the show + Blue Beetle. guardianwolf216 YJ styles of characters of she wants in Young Justice plus Blue Beetle since he's already in the show. 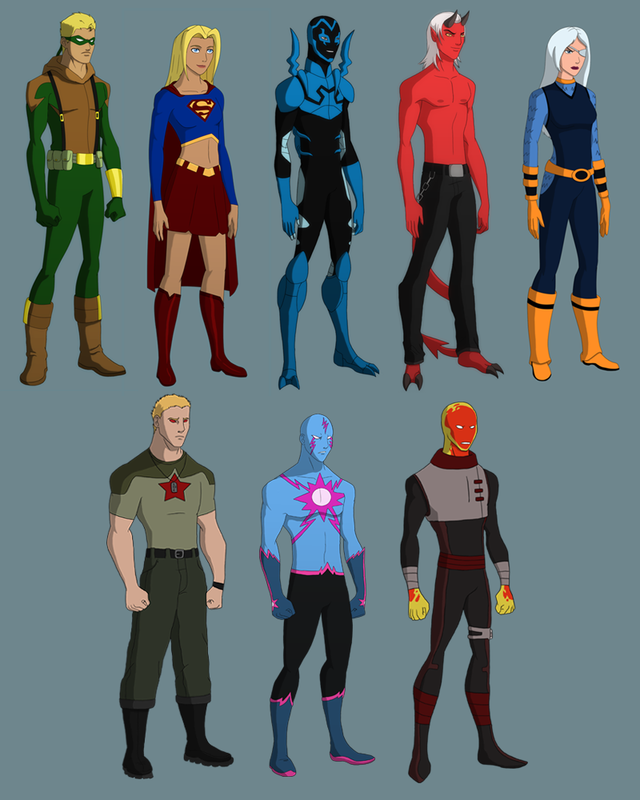 HD Wallpaper and background images in the 영 저스티스 club tagged: young justice blue beetle red star killowat hot spot supergirl conner hawke kid devil ravenger. This 영 저스티스 photo might contain 다이빙 슈트, 다이빙 드레스, 잠수복, and 다이빙 복.